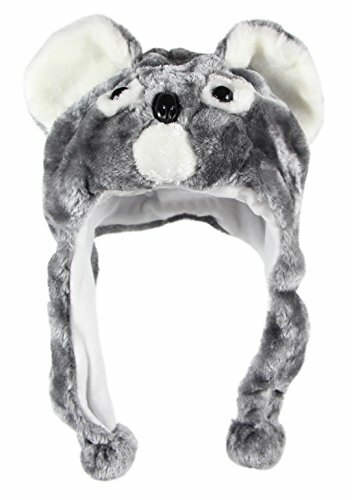 This fluffy costume comes with an attached hood and button up front, it works great as an UNISEX costume or pajamas. 85#-height 38-40" suitable for height from 95cm- 100cm 95#-height 41-46" suitable for height from 103cm- 115cm 105# 47-50" suitable for height from 116cm- 126 cm 115#-height 51-54" suitable for height from 126cm- 137cm 125#-height 55-58" suitable for height from 138cm- 148cm*IMPORTANT: For protecting our most valued customers. After 29th November 2015, all the GENUINE Newcosplay costumes will be attached with 'Newcosplay' LOGO tags (Orders Fulfilled by Amazon & Shipped from US address excluded), otherwise, directly report to amazon, then ask the seller to return it and get your money back. *Only GENUINE Newcosplay costumes are made of high-cost safe material with 100% harmless to your skin. Size Info（U.S. Clipping) S suitable for height from 4'9'' -5'3'' (146cm -159cm) M suitable for height from 5'3'' -5'7'' (160cm -169cm) L suitable for height from 5'7'' -5'10'' (170cm -180cm) XL suitable for height from 5'10'' -6'2'' (178cm -188cm) About Handling & Shipping Time We usually dispatch the items within 24 hours (UTC+8: 9:00~16:00) by USPS during the business days, but in order to avoid of occasions for example like holidays, weekends, or any other breaking times, we set the handling time as 7 days. Please understand. From the USPS agent's advice: they usually take 7 -15 days to deliver the package to your address, from my record, some customers even received their orders in 5 days. But we have to put it for Reference ONLY. *IMPORTANT: For protecting our most valued customers. After 29th November 2015, all the GENUINE NEWCOSPLAY costumes will be attached with 'NEWCOSPLAY' LOGO tags (Orders Fulfilled by Amazon & Shipped from US address excluded), otherwise, directly report to amazon then ask the seller to return it and get your money back. *Only GENUINE NEWCOSPLAY costumes are made of high-cost safe material with 100% harmless to your skin. 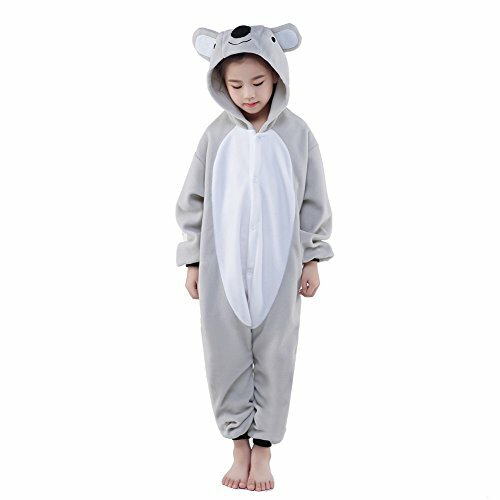 Dress to impress in these Plush Koala Animal One-Piece Pajamas from Silver Lilly. Crafted from ultra-soft 100% polyester, this cozy bodysuit will be a hit at any party, cosplay event, or pajama sleepover. Intricate detailing on the head, body, and tail bring this character to life, so you'll be the life of the party. Two front pockets are included and are convenient for storing your eye mask, earplugs, phone or wallet. The loose fit is comfortable and won't restrict your movements, giving you the freedom to sleep, dance or perform as you please. For best results hand wash, lay flat to dry, and iron on low heat if needed. Multiple sizes available, see size chart for details. 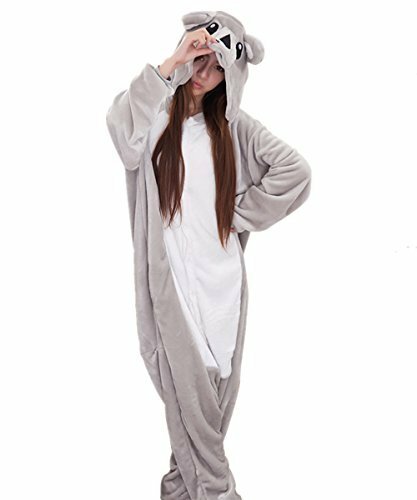 Relax in these Slim Fit Koala One Piece Pajamas by Silver Lilly! 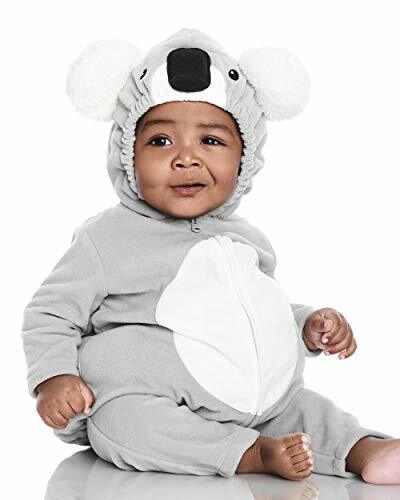 Crafted from ultra-soft 100% polyester, this comfy bodysuit pairs adorable animal designs with a sleek silhouette, for a cozy costume that's perfect for play. Intricate detailing on the head and body bring this adorable character to life, with stitched in eyes and ears for added effect. Two side pockets are convenient for storing your phone, wallet or other must-haves, and zip closed so nothing gets lost. The slim fit design provides the same amount of coverage and warmth without restricting movement, so you can sleep, dance or play as you please. The zip front closure makes getting dressed a breeze, and stays securely closed for comfort. Whether you wear it to bed or to the bar, you'll love how these slim fit animal pajamas make you feel! For best results hand wash, lay flat to dry, and iron on low heat if needed. Multiple sizes available. 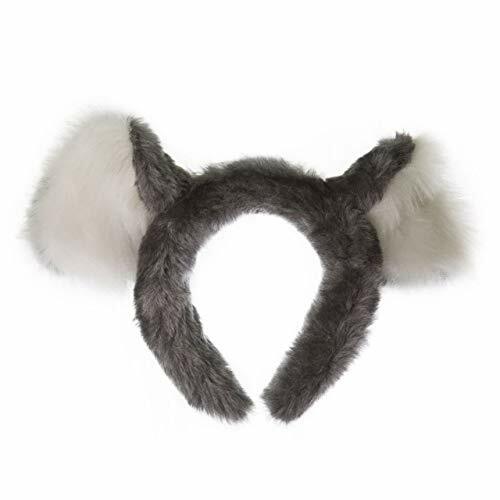 Wildlife Tree's Zoo Animal Ears and Tails are a life-like line that come in a wide variety of different animal styles (with more being added). The headbands are flexible and fit most adults and children. The tails easily clip onto the back of pants, shorts, dresses and belts. These unique items are a favorite with children, inspiring their imaginations to create more fun out of play time (the fun is not limited to children - this is a great one-of-a-kind item for adult parties as well!). Ears and tails sold separately unless otherwise stated. 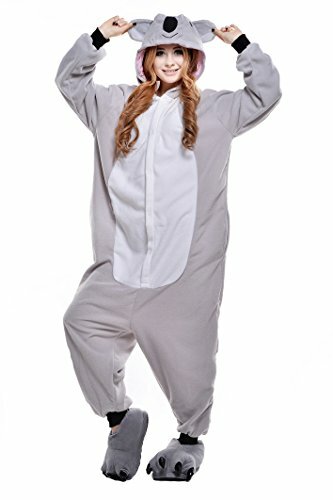 Best choice for halloween, cosplay, performance, homewear, party and be as sleepwear.One-Piece pajamas costume size chart: Small suitable for height 59"-63", Medium suitable for height 63"-67" Large suitable for height 67"-71", XL suitable for height 71"-74"
Last Minute DIY Halloween Costumes! Hopefully you found some ideas and inspiration from this video! Thanks for watching! xoxo, Mere My Instagram: StilaBabe09 My Links! My Vlog Channel! http://www.youtube.com/user/vlogsbymeredith?feature=results_main Facebook! http://www.facebook.com/pages/Stilababe09/175798449143602 Twitter! http://twitter.com/#!/stilababe09 Everything was purchased by me! Not a sponsored video! All thoughts and opinions are my own... like always!